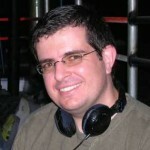 Pablo Godel is a Senior Web Developer and co-founder of ServerGrove Networks. He has been involved with PHP since the early PHP3Beta days and has been using and contributing to Symfony (1 and 2) for several large projects. In his leisure time he likes to spend his time with his family, travel and sailing.